Constructed in 1906 the monastery at Honey's Green Lane had been occupied by the Carmelite Sisters for over 100 years. The Sisters vacated the Monastery in early 2013, the Order relocating to a new purpose built Monastery at Maryton Grange, Liverpool. Claire House was established in 1991 and the charity serves the North West of England, North Wales and the Isle of Man and provides care for children and young people up to the age of 23 with life threatening or life limiting conditions. The first task was to critically appraise the existing building. 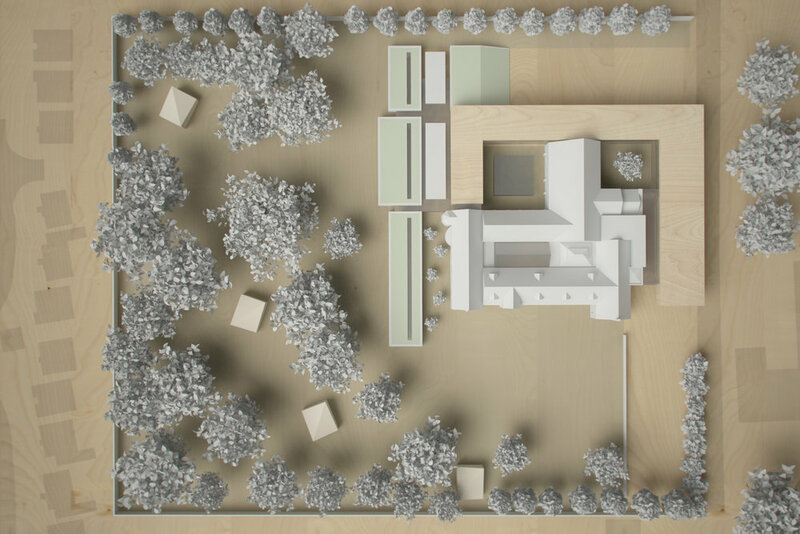 We needed to establish what elements could be retained and what elements needed to be lost in order to make the site work for Claire House. The Carmelite order was an enclosed order and this sense of separation was expressed in the architecture of the building. The main feature of the original building was a substantial 5 meter high boundary wall. This element, in addition to a number of low quality extensions and outbuildings of a domestic scale were identified for removal. We needed to unlock a site that had been inward looking for 100 years and open it up to the wider community. 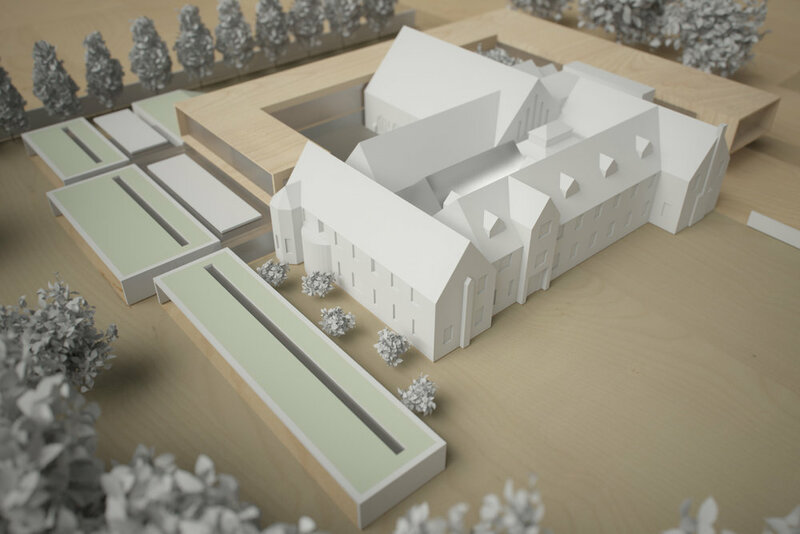 At the end of this process the retained core of the monastery formed the starting point for the proposed redevelopment. 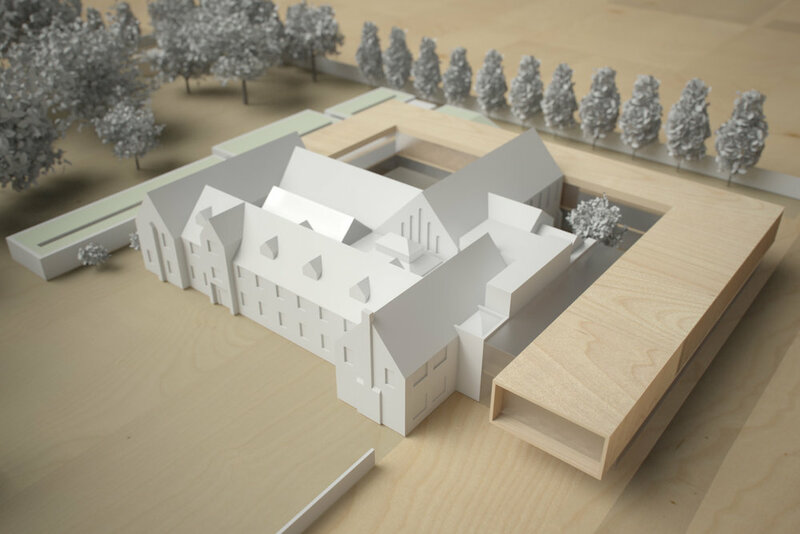 The key principle behind these proposals has been that all new development should be clustered around the retained core of the existing monastery. This allowed us to retain as much of the gardens, and as many of trees as possible. It was felt that these features are really the key assets of the site. Presently Claire House offer day trips to the countryside from its current base in the Wirral. This site will allow them to provide the same type of experience on site. 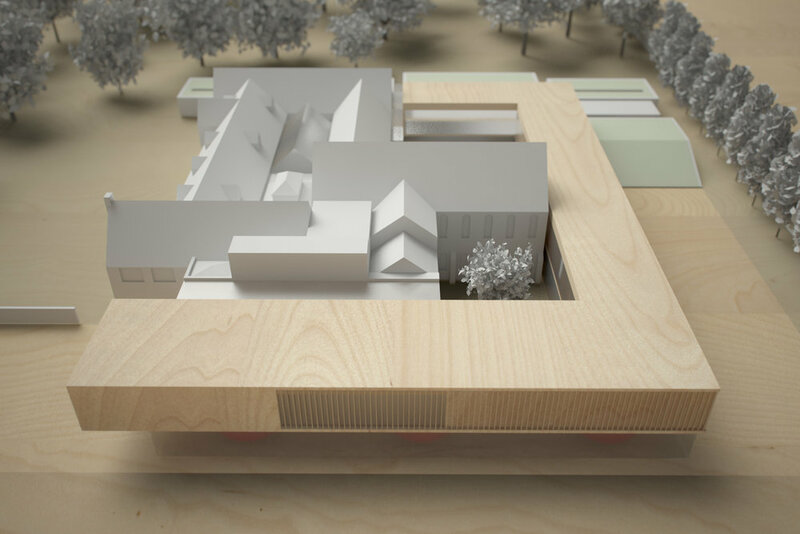 The first key move was the creation of a two storey 'C shaped' block to the north of the site.This block wraps around the retained core and plugs into it at numerous places. 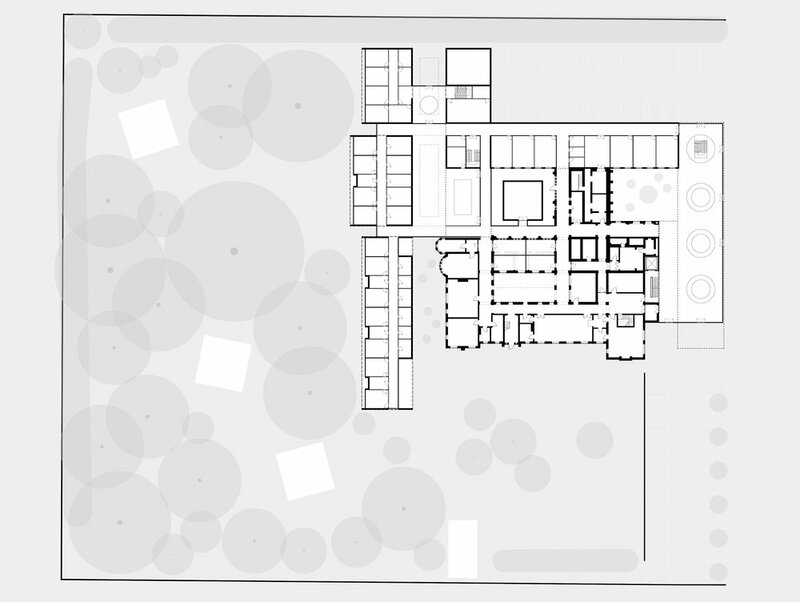 This creates a series of internal courtyards and light-wells and shrouds some of the more austere portions of the existing building.